August 29, 2008: LV Ironpigs 9 Syracuse Chiefs 1: Carlos Carrasco improves to 2-2 with 6 2/3 shutout innings, allowing just 3 hits and striking out 9. 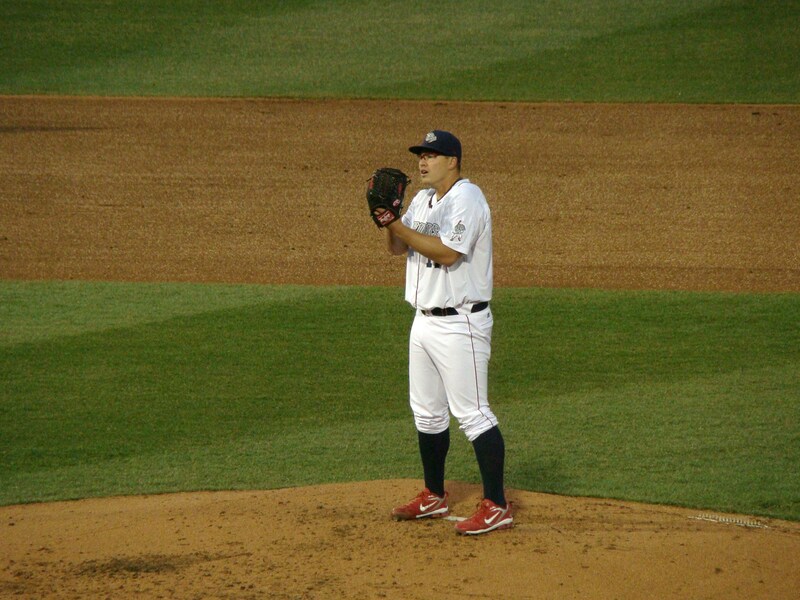 It was his 6th and final start for the Ironpigs in 2008 after pitching most of the year at Reading. April 13, 2009: LV Ironpigs 5 Syracuse Chiefs 1: After the horrendous beginning of the 2008 season, the Ironpigs began 2009 by losing their first 4 games. It was game 5 when Justin Lehr made his first start. He went 6 1/3 strong innings and didn’t allow a run until he gave up 2 singles in the 7th inning when he was relieved by Cedric Bowers who gave up the hit the resulted in the 1 run charged to Lehr. Overall, Lehr allowed just 3 hits (2 of them in the 7th) and walked just 1 while striking out 5 in the Ironpigs first win in 2009. May 5, 2009: LV Ironpigs 3 Buffalo Bisons 0: A rainout on May 4th necessitated a double header the next day, both games to be 7 innings. Justin Lehr took the ball in the first game and threw a 7 inning complete game shutout. He allowed just 3 singles while walking 2 and striking out 4 improving his record to 4-1. Three weeks later Justin Lehr was gone. He finished the year going 8-1 with the Louisville Bats. 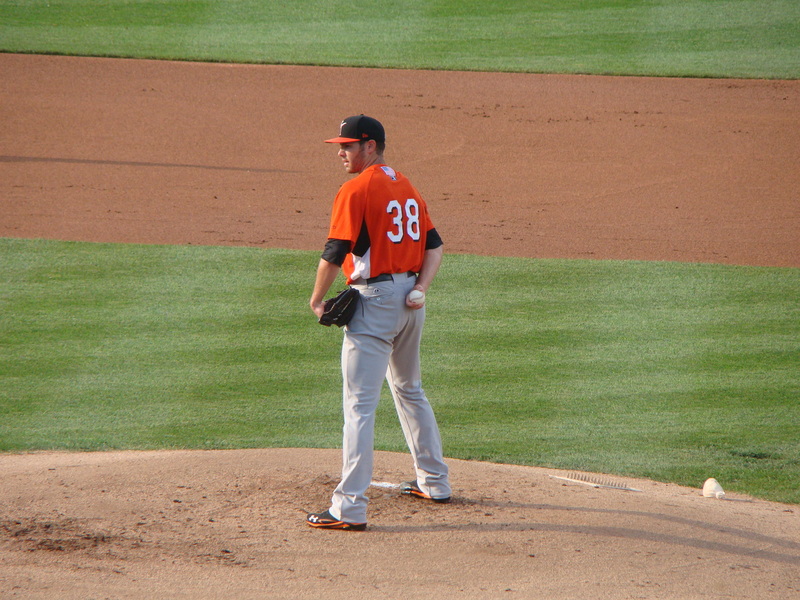 July 8, 2009: Drew Carpenter improved to 8-2 2.85 with a 12-0 win over Pawtucket. Lou Marson with 3 hits & 3 RBIs had his best game for the Ironpigs but the star of the game was Carpenter with 7 strong innings, allowing no runs on 2 hits, walking just 1 and striking out 9. Carpenter 2011. NoiseNation File Photo. June 7, 2010: LV Ironpigs 1 Charlotte Knights 0: On April 7, 2010 the Phillies selected RHP Nelson Figueroa off waivers from the New York Mets. After a brief stay with the Phils, he was sent to the Ironpigs. His first start was June 7th. He pitched the first 6 innings, allowed 2 hits, walked 2 and struck out 4 and was the winning pitcher. He made 2 more starts with the Ironpigs, winning both. He was then recalled by the Phillies but on July 21st he was selected off waivers by the Astros. His career with the Pigs: 3 Games, 3 Starts, 3 Wins 0.95 ERA. 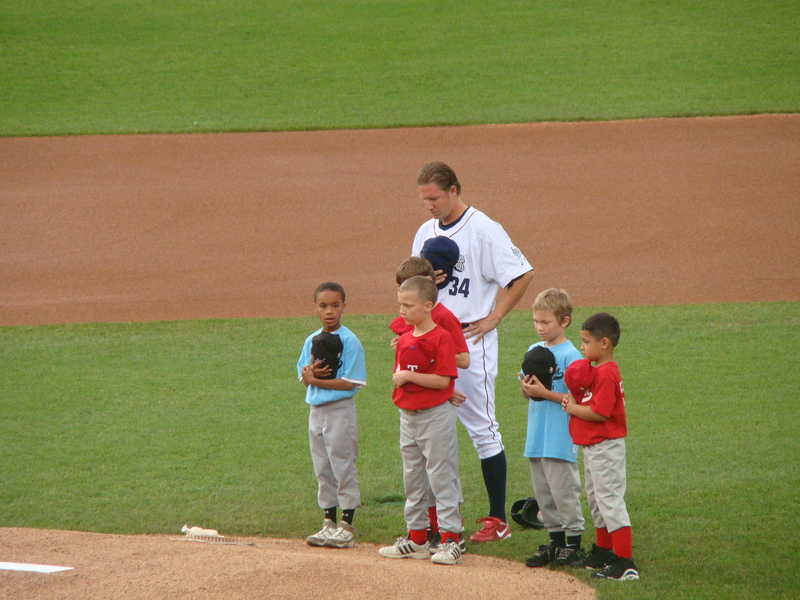 July 25, 2011: LV Ironpigs 4 Columbus Clippers 1. The Clippers had an impressive 65-38 record and on this day they were sending future Cy Young Award winner Corey Kluber to the mound to face Ironpigs RHP Nate Bump. Nate would go 7 strong shutout innings giving up 3 hits and 1 walk while striking out 6. The only Columbus Clippers run came in the 8th on a home run off Mike Zagurski. Corey Kluber lasted just 5 innings for the Clippers. 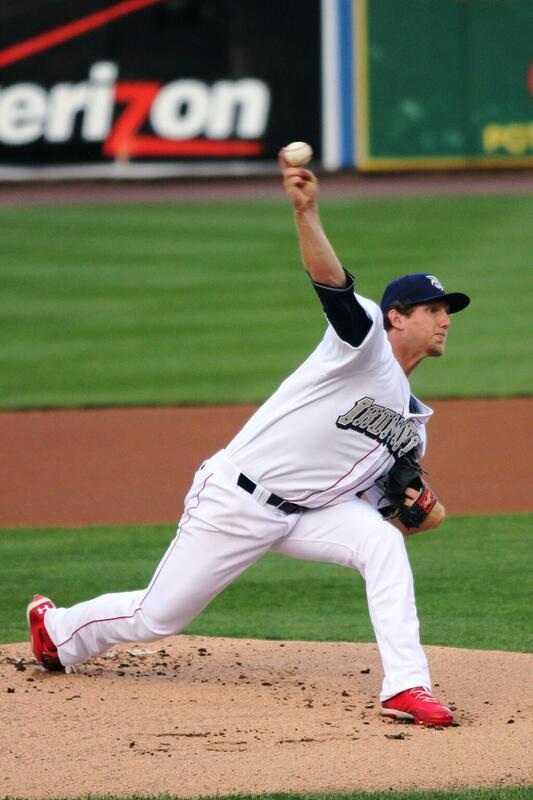 Bump would win just 2 more games for the Pigs and called it a career after the 2011 season. His final start for the Pigs again came against the Clippers, this time in game 2 of the Governor’s Cup Series. He was the losing pitcher despite allowing just 2 runs in 7.1 innings pitched. 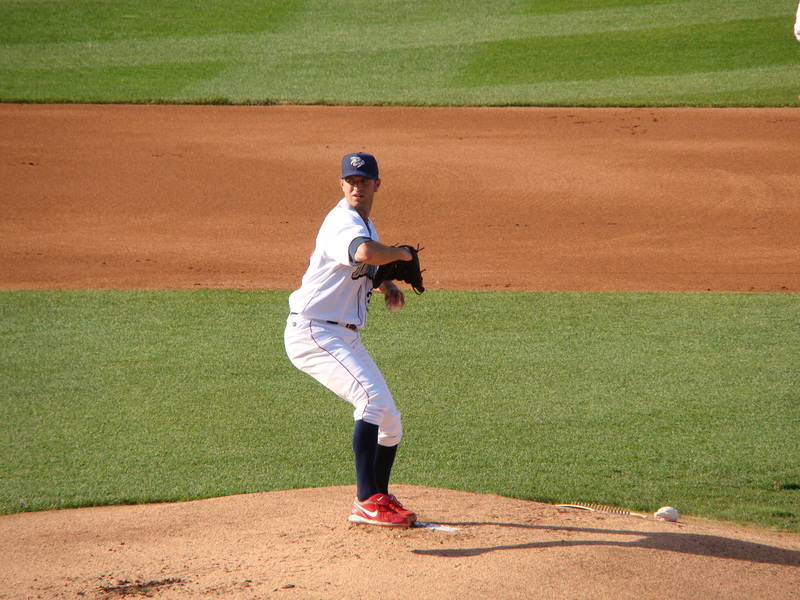 August 16, 2011: LV Ironpigs 5 Rochester Red Wings 2. Dave Bush was acquired by the Phillies on August 15th to add a veteran to the Ironpigs roster for the playoff push. One day later he was on the mound at Coca-Cola Park. He did exactly what they had hoped. He threw 6 solid innings (75 pitches), allowed just 3 hits, no walks and recorded 5 strikeouts. The Ironpigs were leading 2-0 but the bullpen struggled. A leadoff HR in the 7th made it 2-1. Then, with 2 outs and 2 men on in the 8th, a great throw by Brandon Moss cut down the would be tying run at home. The Pigs added 3 runs of their own in the 8th making a Rochester HR in the 9th inconsequential. Dave Bush was credited with the win. Based on the strength of Dave Bush’s performance during the playoff drive, he was given the honor of being the starting pitcher in the first playoff game in Ironpigs history. On September 8, 2011 he defeated the Pawtucket Red Sox 4-2, the first playoff win ever for Lehigh Valley, forever securing his place in Ironpigs history. 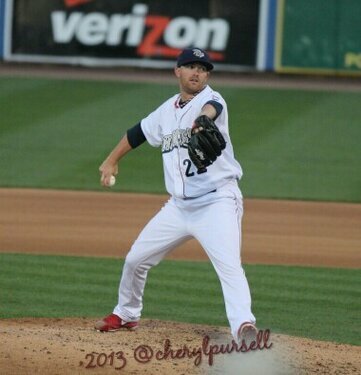 June 30, 2013: LV Ironpigs 5 Toledo Mud Hens 0. Ethan Martin was 8-3 going into this game and probably could have thrown a complete game. He retired 12 of the last 13 batters he faced including the side in order in the 7th and 8th innings. But leading 5-0 after 8, Luis Garcia was brought in to pitch the final inning. In his 8 innings, Martin gave up just 2 hits. He walked 3, two of them in the 2nd inning. May 15, 2014. LV Ironpigs 7 SWB 1. Still looking for his first win, Barry Enright took the mound on this day vs. SWB. He ended up throwing a complete game, while allowing just 4 hits, one of them a solo home run for the only SWB run. Enright finished strong, allowing just 1 hit over the final four innings. June 26, 2014. LV Ironpigs 1 Rochester Red Wings 0. Greg Smith won’t impress you with his fastball but he manages to get good hitters out with finesse. He would pitch just 6 innings in this game but he kept the Red Wings hitters off balance, allowing just 2 hits without allowing a walk while striking out 5. When looking at the best pitched games for the Ironpigs, it’s not unusual to overlook Greg Smith. This game was 6 innings of masterful pitching. Greg Smith would do it again on August 27, 2014 when he threw 7 shutout innings against the Pawtucket Red Sox in a 5-1 win. June 4, 2015. Anthony Vasquez continued his amazing comeback by defeating the Indianapolis Indians by an 8-0 score. He allowed just 3 hits over 7.2 innings improving his Ironpigs record to 3-1 1.64. Seth Rosin pitched the final 1.1 innings to preserve the shutout win. 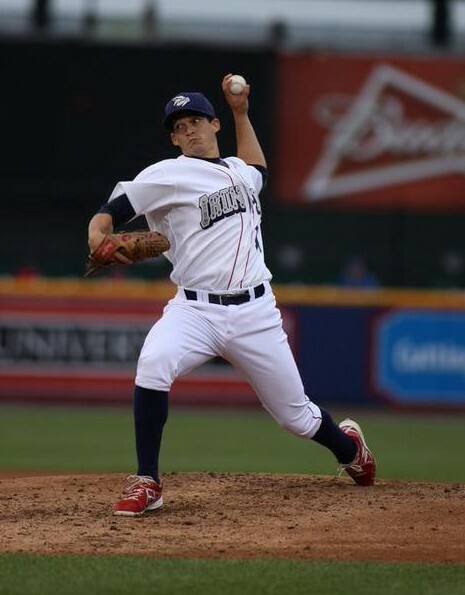 June 18, 2015: LV Ironpigs 3 Buffalo Bisons 0 This game marked the beginning of a short AAA career for Aaron Nola. In just 5 innings, Aaron Nola showed why the Phillies selected him in the 1st round of the 2014 draft. His AAA debut lasted just 5 shutout innings. He gave up 4 hits and struck out 7. It gave the fans at Coca-Cola Park a sneak preview of things to come with the Philadelphia Phillies. 10. May 15, 16, 17, & 18, 2012: The Indianapolis Indians came to Coca-Cola Park for a four-game series in 2012 with a 22-15 record and in contention in the IL West Division. They left Coca-Cola Park with a record of 22-19. This four game series was such a unique moment in Ironpigs history that it wouldn’t be fair to single out any one pitching performance while leaving out the other 3. For that reason, in the #10 spot in our countdown we salute Tyler Cloyd, Scott Elarton, Dave Bush and Pat Misch. Here’s why: On May 15th, Tyler Cloyd defeated the Indians & starting pitcher Jeff Locke by a 4-0 score. Cloyd threw 6 innings, allowed 3 hits, walked 1 and struck out 4. His record improved to 4-0 0.69. On May 16th, Scott Elarton beat the Indians and Daniel Cabrera 1-0. He also threw 6 innings allowing 3 hits, 1 walk, while striking out 5. He improved his record to 5-1 2.06. On May 17th, Dave Bush won the 3rd game of the series defeating Jo-Jo Reyes and the Indianapolis Indians 1-0. He threw 7 innings, allowed 4 hits, walked none, and struck out 5. His record improved to 3-3 3.30. Finally, on May 18th the Indianapolis Indians again fell to the Ironpigs, this time by a score of 3-0 to starting pitcher Pat Misch. Misch had been struggling but improved his record to 3-5 by going 5 innings, giving up 3 hits, 4 walks while striking out 4. In the entire 4 game series, starting pitchers Cloyd, Elarton, Bush and Misch threw 24 innings without allowing a run. To go with their 0.00 ERA, they gave up just 13 hits, 5 walks while striking out 19 Indians batters. On the Indianapolis roster at the time were familiar names such as Starling Marte, Jordy Mercer, Matt Hague, Chase d’Arnaud and Jeff Larish. Also, an acknowledgment to relievers Tyson Brummett (Save), Michael Schwimer (Save), Jeremy Horst (Save), David Purcey, B.J. Rosenberg and Brian Sanches who combined for 12 scoreless innings in relief of the 4 starters. 09. 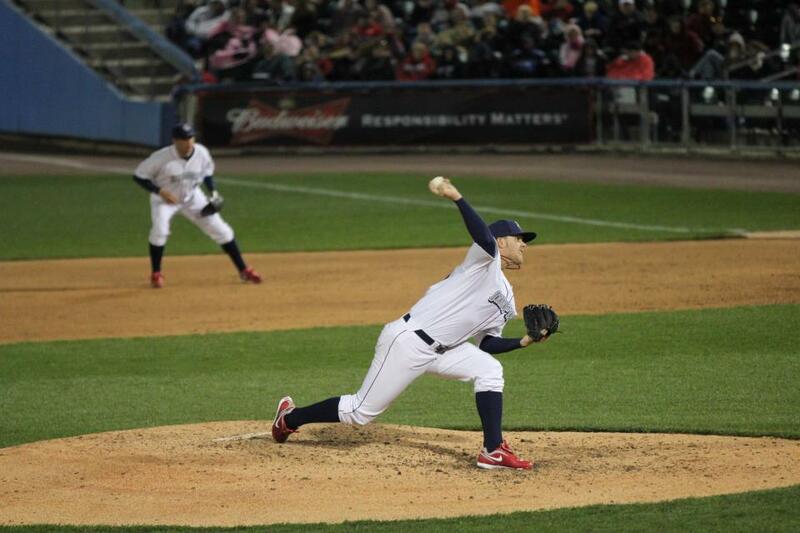 May 22, 2012: Nine inning complete games have been few and far between for the Ironpigs but on this day a battle of major league veterans was to take place at Coca-Cola Park. The Louisville Bats were in town and taking the mound for the Bats would be major league 100 game winner Brett Tomko. 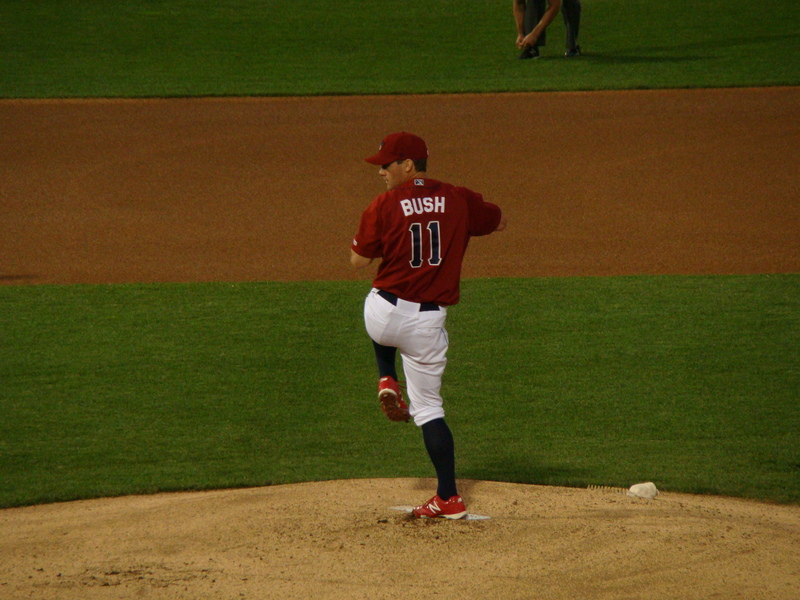 His opponent on this day for the Ironpigs was Dave Bush. Both pitchers were hoping for that one last shot in the bigs. In the top half of the first inning, the Bats managed an infield single but 3 routine grounders made it an easy inning for Bush. Tomko got off to a shakier start, walking leadoff hitter Kyle Hudson and then allowing an RBI double to Kevin Frandsen before the first out was recorded. He settled down but after 1 inning the Ironpigs were up by a run. Louisville hitters managed to hit a double in the 2nd, 3rd and 4th innings but each time Dave Bush managed to pitch out of the inning. From that point, Louisville had a tough time hitting the ball in the air. 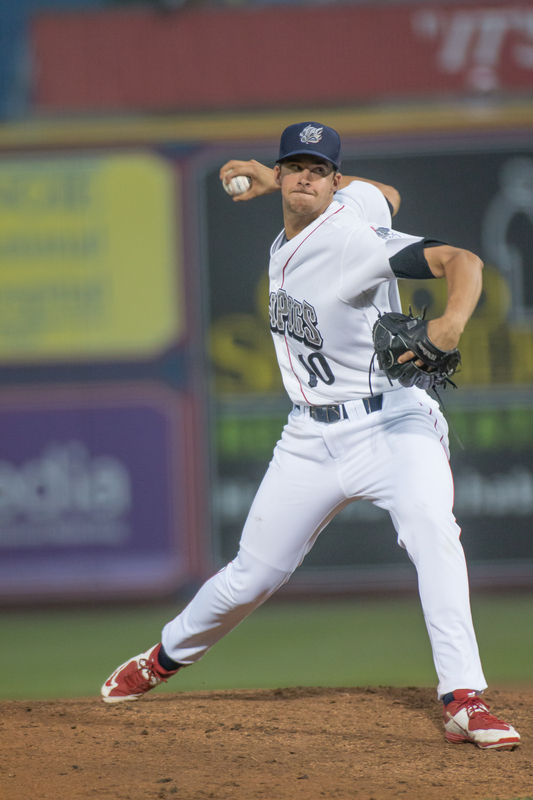 The Ironpigs pushed across another run in the bottom of the 8th inning making the score 2-0 and Dave Bush continued his strong outing by retiring the Bats in order in the 9th. Final Score: Lehigh Valley 2; Louisville 0. In 9 solid innings, Dave Bush allowed just 5 hits and no walks. He struck out 6. He threw just 102 pitchers, 71 for strikes and faced just 32 batters. 14 of his outs were recorded on groundballs. The complete game shutout was played in just 2 hours 11 minutes sending the Tuesday night near capacity crowd home early. It would be the final win for Dave Bush in an Ironpigs uniform. He was released by the Phillies just 2 weeks later. One day after being released he signed a contract with SK Wyverns in the Korean Baseball Organization. 08. July 27, 2012: On July 26th the Norfolk Tides at Ironpigs game was postponed due to rain so on July 27th there was to be a doubleheader, both games being 7 inning affairs. 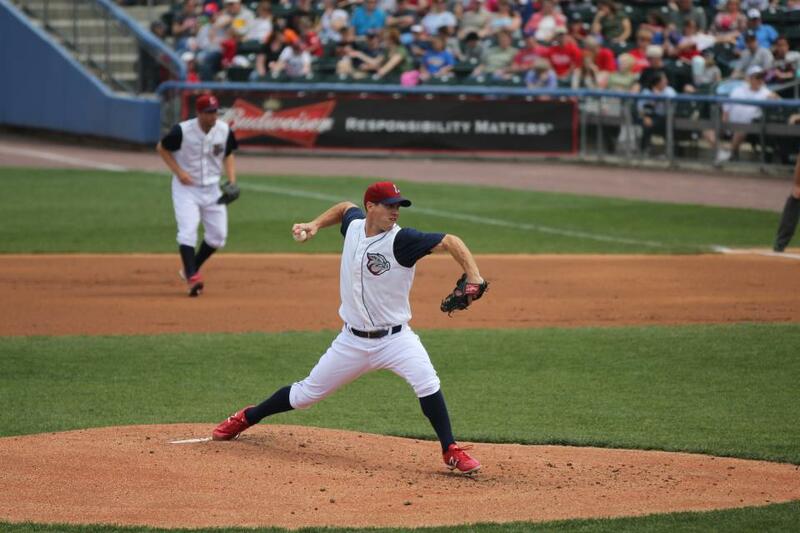 Game 1 of the doubleheader had Ironpigs ace Tyler Cloyd coming into the game with a 9-1 record. The Ironpigs scored single runs in the 1st and 3rd innings and Cody Overbeck added another run with a solo HR in the 6th inning. The only Norfolk player who seemed to give Cloyd a problem was center fielder Nate McLouth who had 2 hits. The rest of the Tides lineup only managed an additional 2 hits. Cloyd breezed through the 7 inning game in just under 2 hours, defeating Norfolk 3-0. He allowed 4 hits, walked 1 and struck out 6, improving his 2012 record to 10-1 with an impressive ERA of 1.98. His opponent in that game was 2015 NL Cy Young Award winner Jake Arrieta. Arrieta gave up all 3 of the Ironpigs runs in his 5.1 innings pitched. 07. August 14, 2013. The Ironpigs were still talking playoffs, but at 64-61 they needed to put together a nice winning streak. Who better to have on the mound than Tyler Cloyd? The game on this day began as a classic pitcher’s duel with no score going into the 5th inning. Leading off for Syracuse in the 5th was Shortstop Zach Walters. He took a Tyler Cloyd pitch over the right field wall giving the Chiefs a 1-0 lead. But the Pigs bounced right back in the bottom of the inning when Pete Orr singled, driving home Derrick Mitchell and Tyson Gillies. That would be all Tyler Cloyd would need as he retired 15 of the last 16 batters he faced. The Pigs added 2 more insurance runs in the 8th and brought home a 4-1 victory. Tyler Cloyd went the distance, allowing just 3 hits and one walk in 9 innings while striking out 7. The only blemish on his record was that solo home run in the fifth inning. 06. April 7, 2011. After 3 entire seasons of never having a winning record, the Dave Huppert era finally came to an end after the 2010 season. Enter Hall of Fame second baseman Ryne Sandberg as the new manager. Along with Sandberg came a new attitude. The first goal entering the 2011 season was to win game 1. 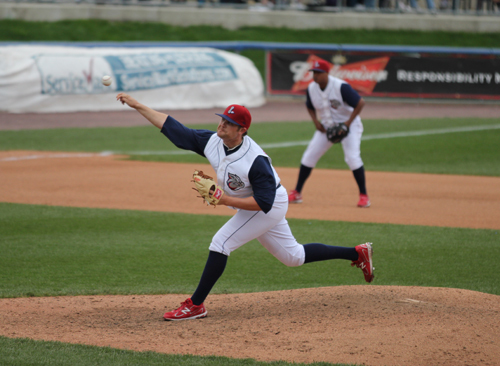 The task of getting the Ironpigs off to a winning start was given to RHP Vance Worley. His job wouldn’t be easy because the Scranton/Wilkes-Barre Yankees would be the opening day opponent. Worley seemed up to the task, immediately retiring the top of the SWB lineup in order in the first inning. 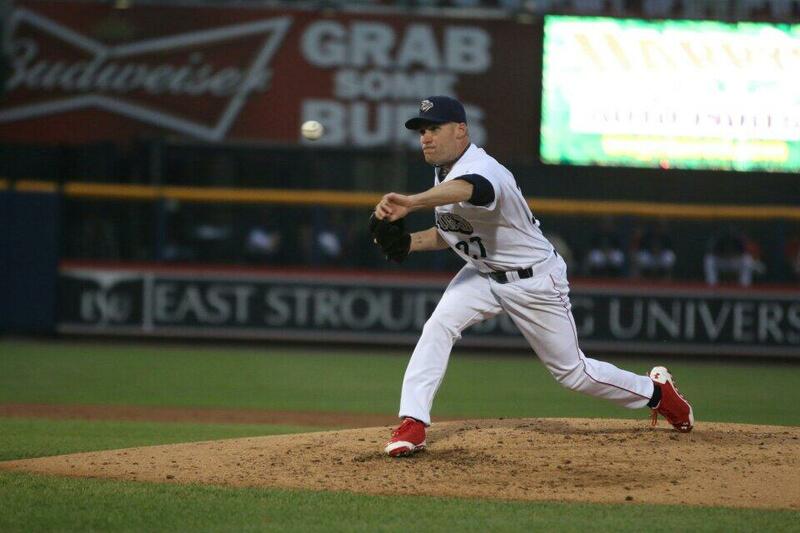 In the bottom of the first inning the Ironpigs jumped all over Yankees starting pitcher David Phelps. Kevin Frandsen started the rally by getting hit by a pitch. A Cory Sullivan single moved Frandsen to third where he then scored on a groundout by Delwyn Young. Ronnie Belliard and Brandon Moss followed with RBI singles giving the Pigs an early 3-0 lead. The Yankees put 2 men on base in the second but failed to score when Worley struck out Ramiro Pena to end the inning. Worley struck out 2 Yankees in the 3rd and 2 more in the 4th giving him 6 strikeouts through the first 4 innings. He added another strikeout in the 5th and then the Ironpigs broke the game open with 4 runs in the bottom of the inning. Delwyn Young and Jeff Larish both homered in the inning. Vance Worley pitched just 1 more inning but did so in style, striking out the final 2 batters he faced. The bullpen allowed 2 runs over the final 3 innings but the game was already in hand. Final Score: Ironpigs 7 Yankees 2. Vance Worley makes the list not only for his 6 shutout innings and 9 strikeouts, but for taking the Ironpigs into new uncharted territory. The Ironpigs are 1-0 and over .500 for the first time in their history. 05. May 3, 2013. Unlike the previous season when Tyler Cloyd was almost unbeatable, the 2013 season began with him losing his first 3 decisions. Going into the game on May 3rd against the Indianapolis Indians, he was 0-3 with a 6.67 ERA through 5 starts. On this night he would be facing Charlie Morton, a pitcher now very familiar to Phillies fans. The Pirates had sent Morton to Indianapolis on a rehab assignment. Tyler Cloyd cruised through the first 3 innings, allowing just 2 singles, one of them to his pitching opponent. A first inning unearned run had given the Ironpigs a 1-0 lead through the first 3 innings. That changed in the top of the 4th when Indians first baseman Matt Hague homered to left center tying the game at 1. Charlie Morton’s rehab start ended after just 3 innings and he was replaced by Kris Johnson in the 4th. A Leandro Castro double brought home 2 runs and gave the Pigs a 3-1 lead. The Pigs added another run in the 5th and then put the game away in the 6th with a 2 run single by Michael Martinez and a Jermaine Mitchell triple. Tyler Cloyd retired the side in order in the top of the 6th inning and did the same in the 7th and 8th. All told, Cloyd retired the last 11 hitters he faced. Justin DeFratus was brought in and closed the game with a scoreless 9th inning. Final Score: Ironpigs 7 Indianapolis 1. The final line for Cloyd: 8 Innings; 4 Hits; 0 Walks 10 strikeouts (tying a career high). 70 of the 99 pitches he threw were strikes. 04. September 3, 2011. The 2011 season was winding down and the Ironpigs could smell the playoffs. With just a few games remaining, the Ironpigs were just behind Pawtucket for first place in the IL East and just ahead of Gwinnett for the wildcard. It was unclear who would pitch for the Ironpigs until Brian Bass told pitching coach Rod Nichols he wanted the ball in this game. So, on Saturday September 3rd, the final regular season home game of the 2011 season, Brian Bass was given the task of facing the Buffalo Bisons. Bass started strong, striking out 2 in the first inning and recording a strikeout in the second while also getting a nice double play turned by Freddy Galvis to end the second. Two more strikeouts and a groundball got Bass through the third. Then in the bottom of the third inning something happened that had never happened before. The 29 year old Brian Bass led off with a line drive single to left field. It was the first base hit of his professional career. Pete Orr followed with a one out single moving Bass to third. Then Kevin Frandsen ripped a triple to center field driving home 2 runs. It would be all Bass needed as he retired Buffalo in order in 4 of the next 5 innings. In the bottom of the 5th inning Rich Thompson did what he does best when he beat out a bunt for a single and then stole 2nd and 3rd base. He then scored on a single by Kevin Frandsen, his 3rd RBI of the game. 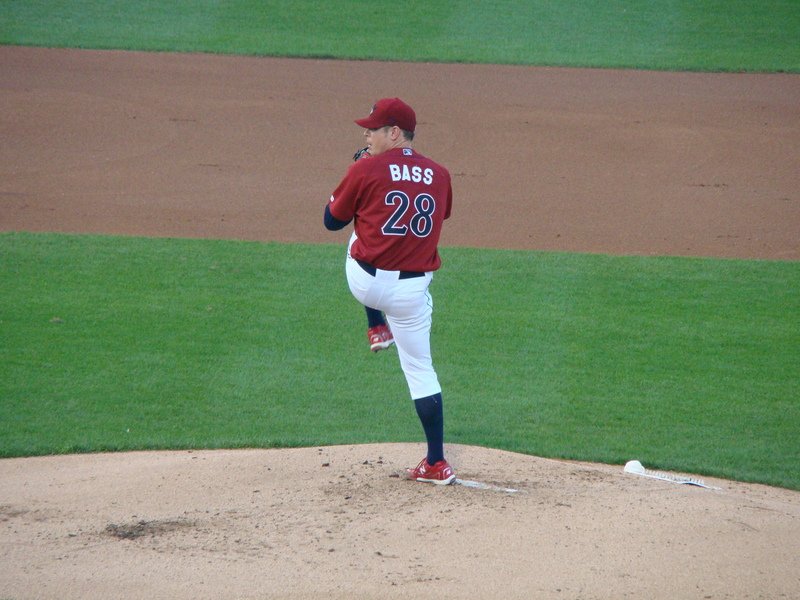 After treating the sellout crowd of 10,000 to 8 strong innings, Brian Bass was removed from the game. Justin DeFratus came in and retired Buffalo in order in the 9th. Final Score: LV 3, Buffalo 0. The final line for Brian Bass: 8 IP, 2 Hits Allowed, 1 Walk and 10 Strikeouts. 70 of Bass’s 106 pitches were for strikes. Justin DeFratus got through the 9th inning on just 8 pitches. 03. 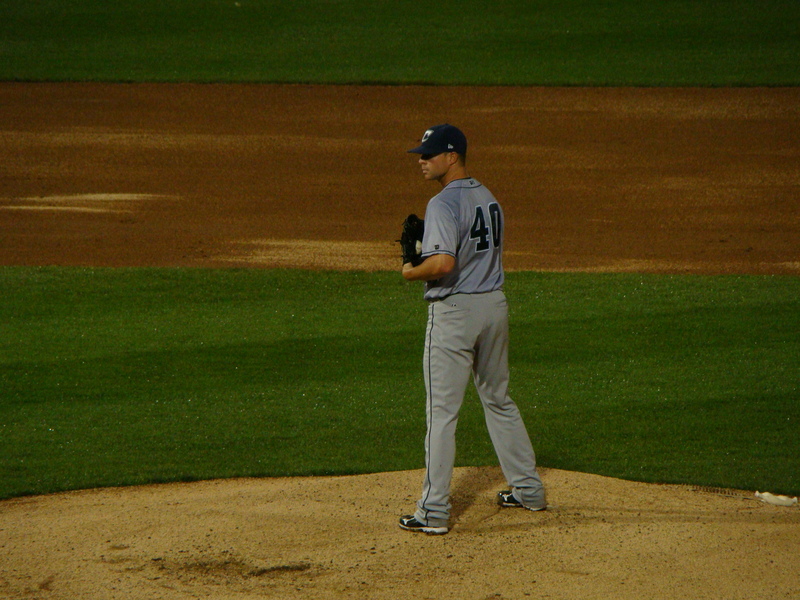 April 5, 2012: Tyler Cloyd was given the opening day assignment in 2012 with the task of stopping the Scranton/Wilkes-Barre Yankees. He started strong by retiring the first 6 batters in order, 3 of them on strikeouts. In the bottom of the second inning the Ironpigs loaded the bases and then a walk to Rich Thompson and a throwing error on a Joe Thurston grounder gave the Ironpigs a 3-0 lead. Tyler Cloyd then proceeded to retire the Yankees in order in the 3rd, 4th, 5th and 6th innings before being removed from the game after 6 perfect innings, 18 up and 18 down. He was replaced by Phillippe Aumont who allowed the first hit, a 1 out double. Jake Diekman then threw a perfect 8th inning and Michael Schwimmer closed out the game in the 9th, walking 1 batter. Final Score: LV 3 SWB 0. The Ironpigs managed just 3 hits but SWB had just 1 hit and 1 walk. Tyler Cloyd’s line for the game was 6 IP, 0 Hits, 0 Walks, and 8 Strikeouts. 02. July 6, 2008. My personal favorite. This one came on the left arm of Les Walrond against the Louisville Bats. The game began with the Bats Michael Griffin hitting a one-out double to right field before Walrond struck out the final 2 batters of the inning. The bottom of the 1st began with singles by Brandon Watson and Oscar Robles before Mike Cervenak singled home Watson with the first run of the game. Walrond retired the side in order in the 2nd inning while adding 2 more strikeouts. In the third inning he allowed back to back one out singles before a double play got him out of trouble. Brandon Watson tripled in the Pigs half of the 3rd and scored the second run of the game on a ground out. Louisville went down quietly in the 4th, 5th and 6th innings before Walrond struck out the side in the 7th, then struck out 3 more in the 8th while allowing a double and hitting a batter. Aaron Herr led off the 9th with a single for Louisville and there were thoughts that perhaps Walrond was running out of gas. Far from it as Walrond then struck out Adam Rosales, Alvin Colina and Luis Bolivar to end the game. The Ironpigs finished with 2 runs on 8 hits while the Louisville Bats managed 5 hits but were held scoreless. The final line for Les Walrond: a 9 inning complete game shutout, 5 hits allowed, 1 walk allowed, and an Ironpigs single game record of 17 strikeouts. Bats shortstop Paul Janish was the only starter in the Louisville lineup who did not strike out at least one time. 01. July 17, 2008. It’s hard to imagine that the 2 best games on our list both came from the worst season in Ironpigs history. On July 3, 2008, Scranton/Wilkes-Barre visited Coca-Cola Park and sent Ian Kennedy to the mound to face Ironpigs lefty Brian Mazone. In the bottom of the second inning, Jon Knott hit a solo home run , his 10th of the year, giving the Ironpigs a 1-0 lead. Mother nature then took over and the game was suspended after 2 innings, to be completed as part of a doubleheader on July 17. Normally, minor league doubleheaders are 7 inning games but since this game was started on July 3rd as a 9 inning game it would have to be played the entire 9 innings. On that same day (July 3rd), J.A. Happ was called up to the Phillies after Brett Myers was optioned to the Ironpigs. Happ made 2 solid starts for the Phillies but despite both starts resulting in Phillies wins, he was not involved in the decisions. Then, on July 17 the Phillies made a trade with the Oakland Athletics sending 3 minor league prospects out west in exchange for starting pitcher Joe Blanton. To make room for Blanton, Happ was sent back to the Ironpigs. Instead of sulking, J.A. Happ took the mound for the Ironpigs in the top of the 3rd inning of the suspended game from July 3rd with the Ironpigs holding onto a 1-0 lead. In his first inning back in AAA, he struck out the side. Then in the 4th inning he retired the side in order again while adding 1 more strikeout. The Ironpigs added another run in the bottom of the 4th giving them a 2-0 advantage. In the top of the 5th, Happ recorded two more strikeouts and walked one batter. It would be the only baserunner he would allow as the SWB Yankees went down in order in the 6th, 7th, 8th and 9th inning. Final Score: Ironpigs 2; Yankees 0. The Ironpigs finished with just 5 hits while the Yankees had 2, both of them coming off Brian Mazone in the 1st 2 innings back on July 3rd. The final line for J.A. Happ: 7 Innings Pitched; No Hits; 1 Walk; 12 Strikeouts and 0 runs allowed. 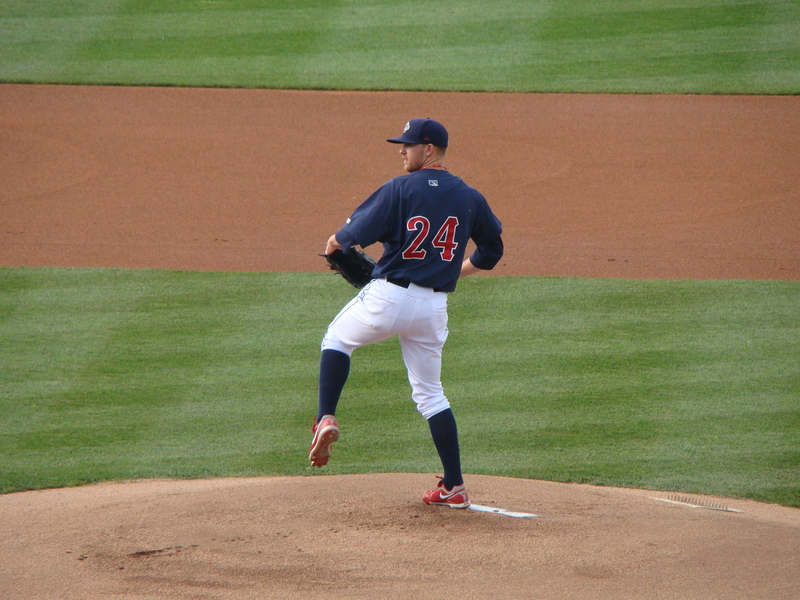 The win evened Happ’s record with the ’08 Ironpigs at 6-6 3.31. Technicality: Our list is supposed to be the top 10 Ironpigs games at home by the starting pitcher so before you cry foul, we know, but this is the exception to the rule. If you go back to July 3rd when the game began, the starting pitcher in this game was Brian Mazone, not J.A. Happ. However, since there were 2 weeks between the time Mazone started on July 3rd and the time Happ “re-started” the game on July 17th, we decided to stretch the rules and consider J.A. Happ as the second starting pitcher in this game instead of as a relief pitcher. Whether you agree or not, you can’t argue the fact that this masterpiece by J.A. Happ belongs on any list of best pitching performances by a member of the Lehigh Valley Ironpigs. So there you have it. Our list of the best games by an Ironpigs starting pitcher in the 8 year history of Coca-Cola Park. Hopefully 2016 will bring a few more gems to add to the list. IMPORTANT: Remember to note that although I posted this, it is all the work of our resident baseball and IronPigs historian, DECAL. Looks like we have our first 2016 entry for this list. Zach Eflin 8 IP 2 H, 0 BB 5 SO No runs allowed in 3-0 win over Rochester. Eflin retired the last 17 Red Wings hitters to come to bat and faced just 25 as the base runner on 1 of the 2 singles he allowed was erased on a double play.